More than a foot of snow was recorded in some areas of Washington state, including on the Olympic Peninsula. 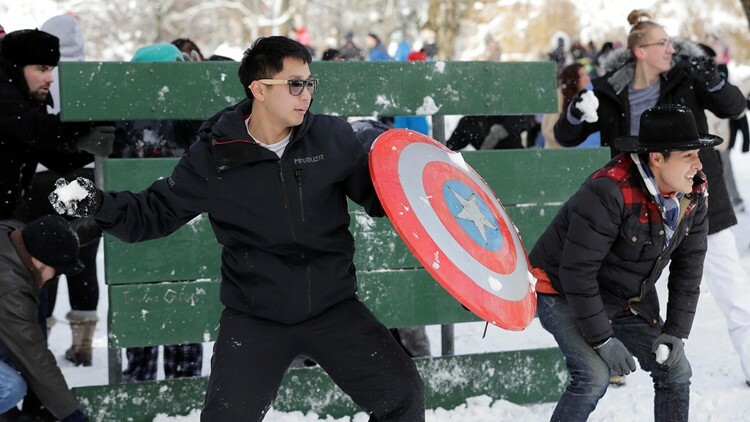 SEATTLE — Residents of the Pacific Northwest took to neighborhood hills with skis, sleds or even just laundry baskets Saturday to celebrate an unusual dump of snow in a region more accustomed to winter rain. 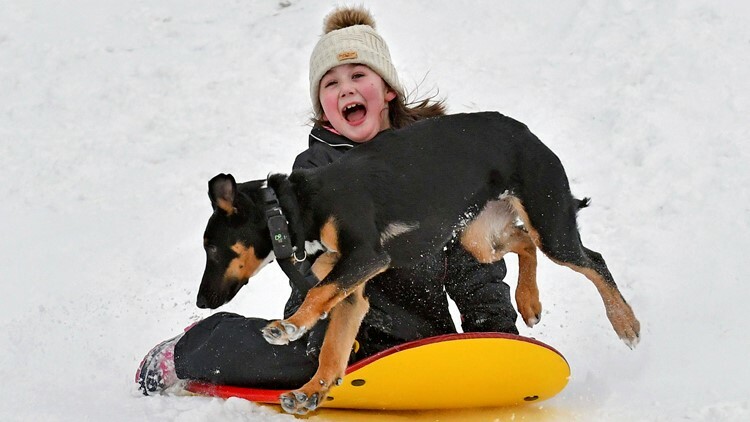 Kylie Silvia, 7, of Sedro-Woolley slides down a hill Saturday, Feb. 9, 2019, at the Northern State Recreation Area while being chased by Atlas, one of the two family dogs.